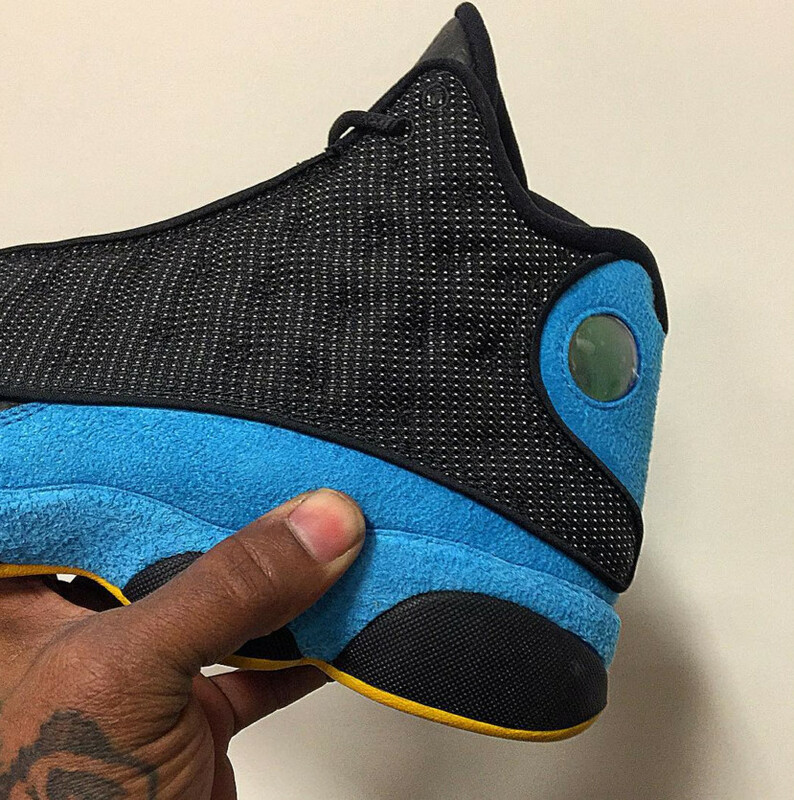 From his time with the Hornets. 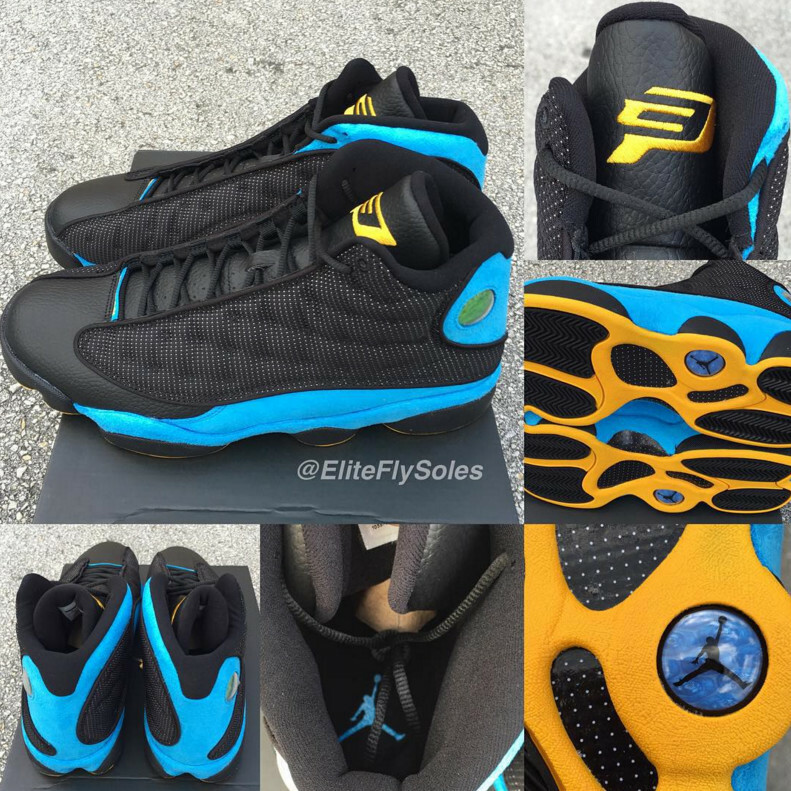 A couple of player exclusive Air Jordans from the collection of Chris Paul will soon be available to the masses. 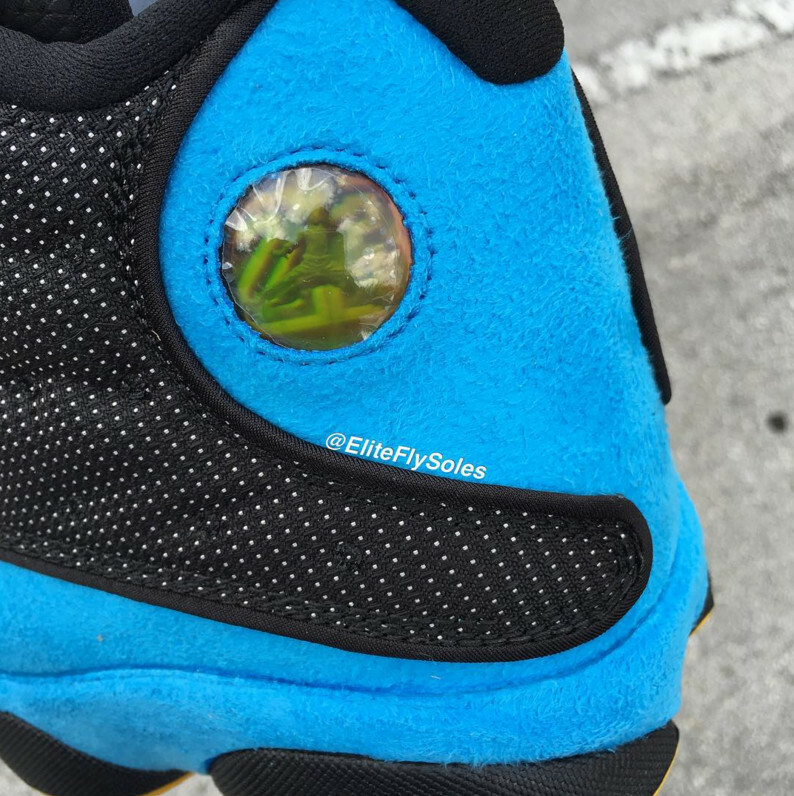 According to Twitter user and reputable leaker @_PO2345, Paul's two Air Jordan 13 "Hornets" pairs in home and away colors will be releasing. 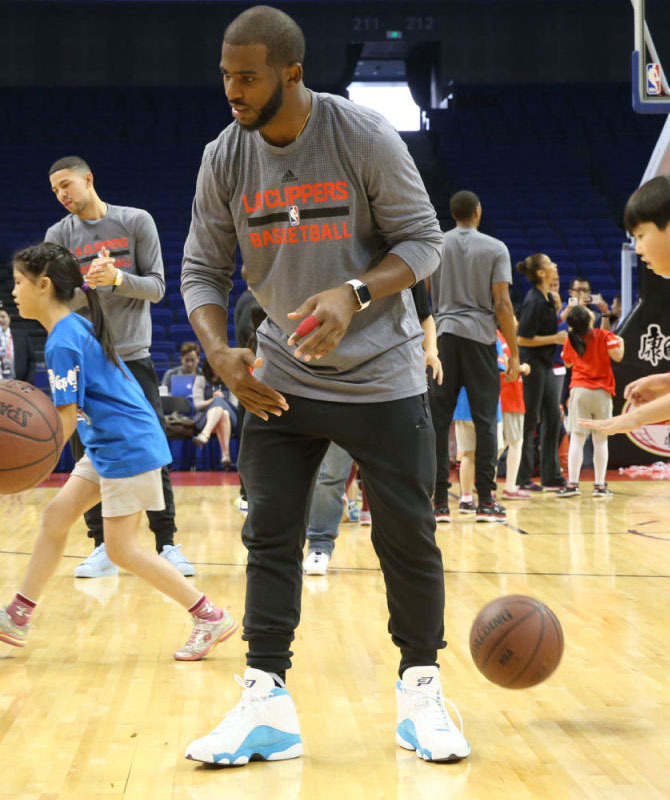 The sneakers come from CP3's time with the New Orleans Hornets (a.k.a the squad now known as the New Orleans Pelicans). 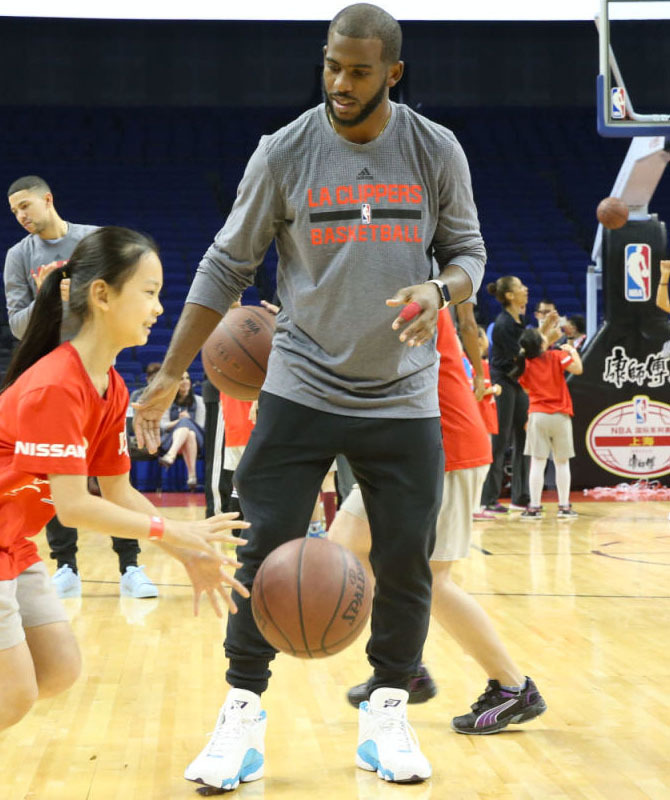 Note that the pictures here are of Chris Paul's personal pairs, and not the upcoming retail releases. 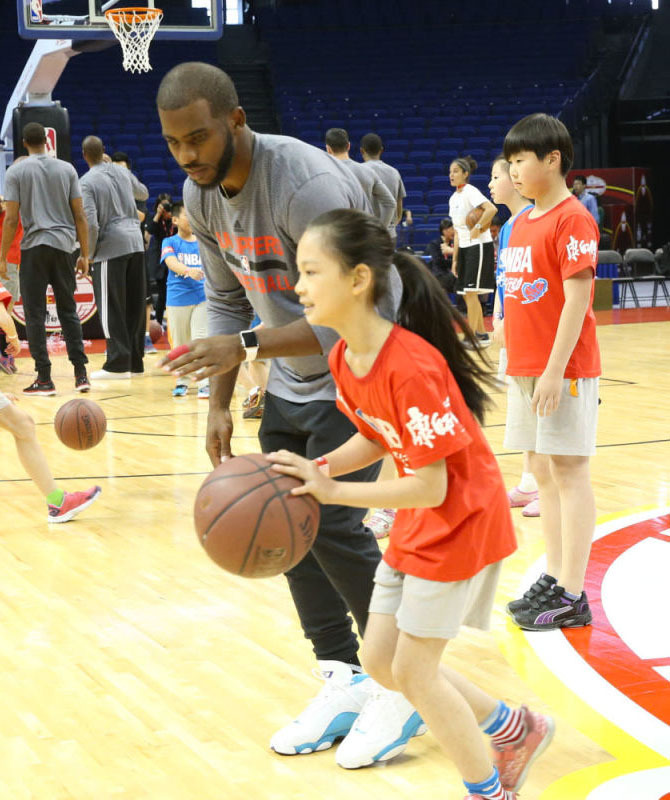 It's unclear if the sneakers will arrive featuring his CP3 logo on the tongues. 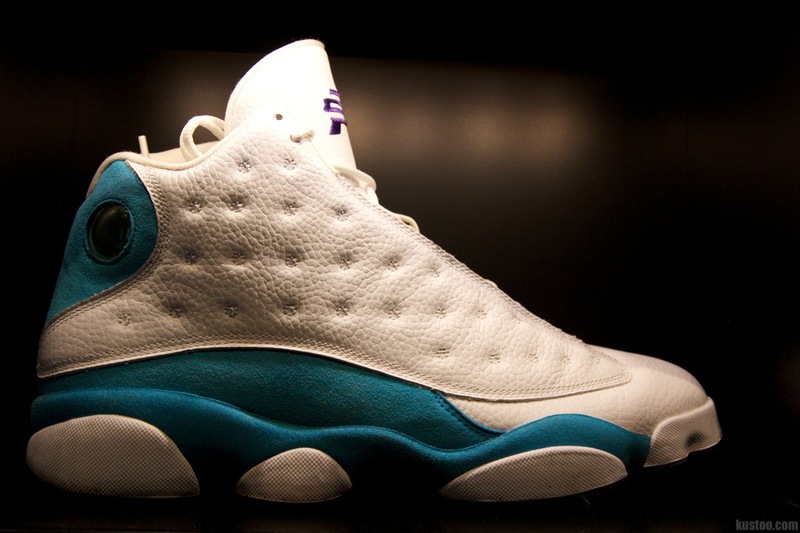 The Jordan release date for the Chris Paul "Hornets" Jordan 13s is set for Saturday, Nov. 7. 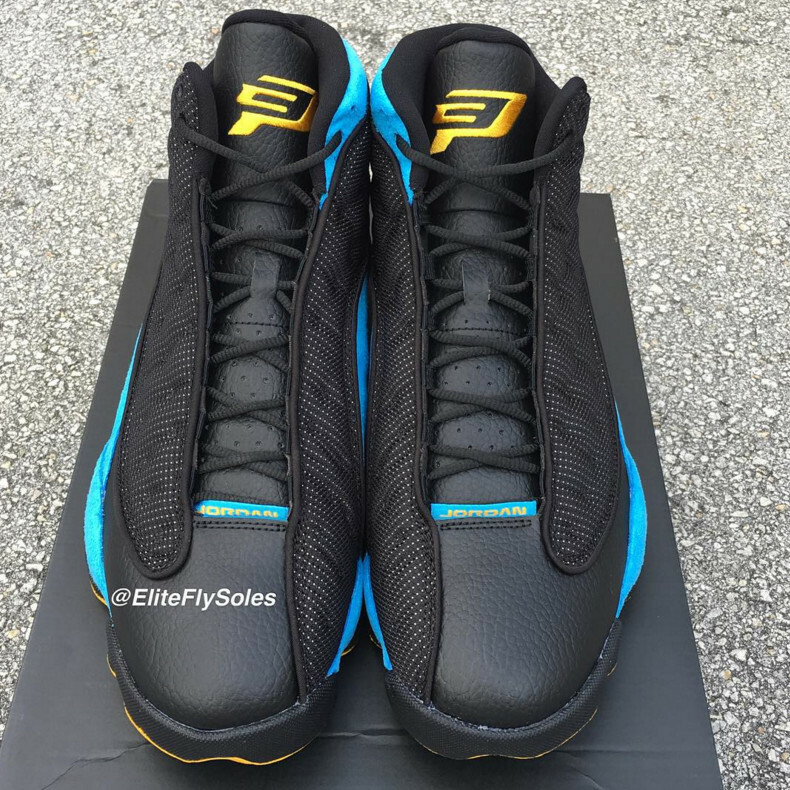 Retail will be $200. 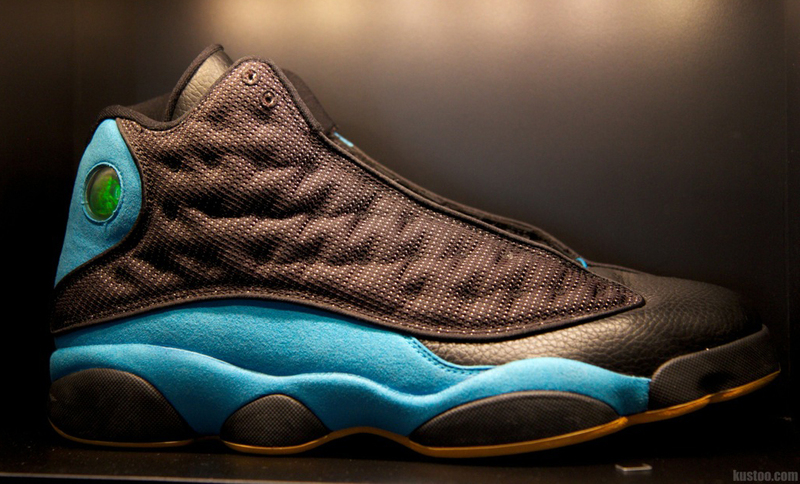 UPDATE 10/30: More photos of this anticipated Air Jordan retro release. 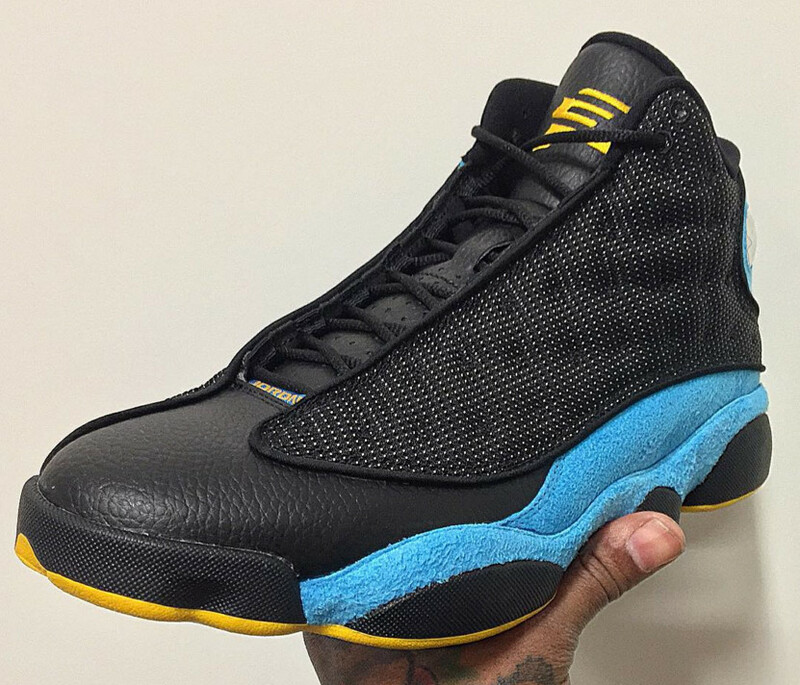 UPDATE 10/23: A first look at the retail version of the Chris Paul Air Jordan 13. 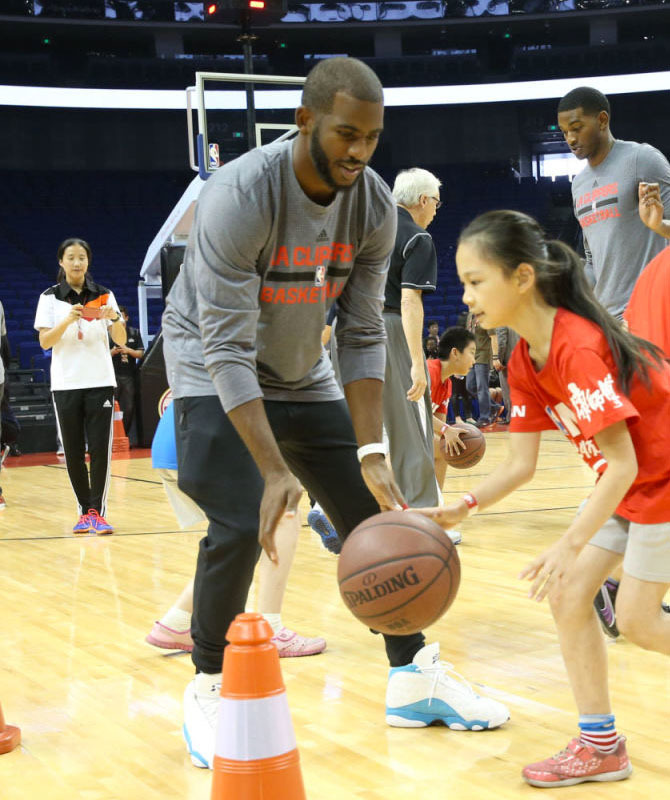 UPDATE 10/12: Giving more life to this story, Chris Paul was just spotted rocking his "Home" PE in Shanghai. We'll continue to follow the story as it develops.